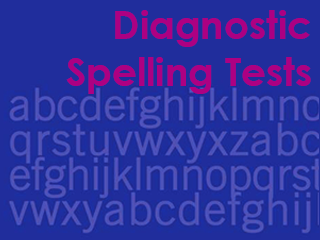 In-depth, standardised spelling tests with parallel forms and optional diagnostic follow-up. Each test is easy to administer and is available in parallel forms A and B.
Photocopiable marking grids and targeted follow-up tests help teachers to plan an intervention programme. Please be advised that orders of Diagnostic Spelling Tests are restricted to schools/institutions only. Please supply an institutional address when you place your order as we are unable to fulfil orders with a private address.